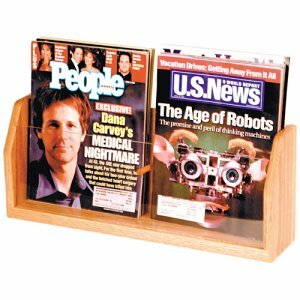 2 pocket wooden counter top magazine and literature display. Oak and acrylic racks add warmth to any room while displaying your magazines and literature. Our literature racks are constructed with solid oak sides and a state-of-the-art finish. 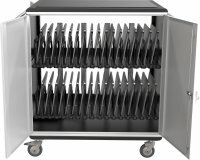 Clear acrylic front panels hold literature neatly in place. Pockets are 2 inches deep and 9 inches wide for magazines and literature.